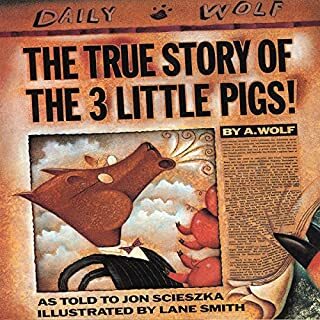 What made the experience of listening to The True Story of the Three Little Pigs the most enjoyable? 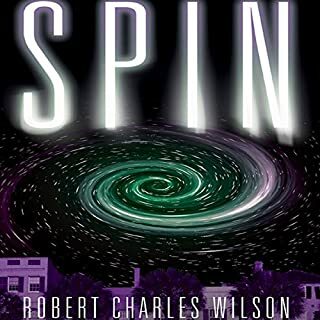 Would you listen to Spin again? Why? Yes, to pick up on details I may have missed. I would have had a more passionate union for Taylor and Diane. It was enjoyable to listen to. I remained in good spirits and wanting to see what was going to happen next. I felt the ending was rushed. I wanted to know more about the new worlds and more on how the relationship progressed with Taylor and Diane. This best-selling thriller has captivated over 4.5 million readers of all ages; V.C. Andrews’ fans know her mixture of vivid characters and ominous moods is highly addictive. Flowers in the Attic is the first book in a gripping series featuring the Dollangagers - a family haunted by a remorseless, demonic history. This tale of obsession, also made into a haunting movie, has made V.C. Andrews’ name synonymous with the best in dark suspense. Memories, 1st Book to Freak Me Out! I was only 13. 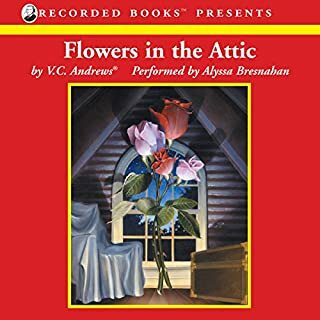 Where does Flowers in the Attic rank among all the audiobooks you’ve listened to so far? So many parts moved me. I dont want to spoil it for others by describing them. The book was very memorable.The story and mood stayed with me for a good while. I felt sad and solemn during the reading, but felt compelled to keep listening. As a mother It hurt my heart. After finishing the book I had a lot of questions. some things just didnt add up to me.